Australia tops the chart of best immigration destinations, where people would like to reside and work. Besides being a smallest continent, the country has overwhelming natural beauty and simultaneously offers a high standard of living and ample career opportunities along with a balanced lifestyle. This is what allures a large number of people to acquire permanent residency to Australia. Every year, a number of people from all over the globe apply for Australia permanent resident visa to work and settle in the country in order to begin a new life. 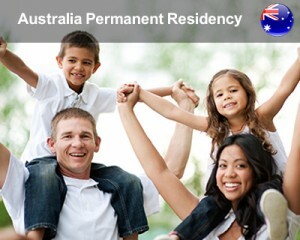 Australia offer immigration facilities for skilled immigrants in order to meet the growing labor needs in the country. The government of Australia provides various pathways to obtain PR of Australia. Australia permanent resident visa is granted for overseas skilled individuals, which enables them to reside, work and study in Australia without any restrictions. Australia permanent residence visa holders are entitled with various benefits and rights which are almost similar to Australian citizens. However, in order to get Australian PR individuals need to meet certain requirements. Besides these requirements, applicants can also be sponsored either by their spouse or other related family members who are either Australian Permanent residents or citizens. Applicants can set up and manage business for an existing or latest business opportunity in Australia. The other key ideas may also include critical skill list, graduate skilled visa, work experience, state nomination, further study and bridging visas. It is significant to sort out individual’s residency under partner migration, family migration, skilled migration as well as corporate migration for Australia permanent residency.